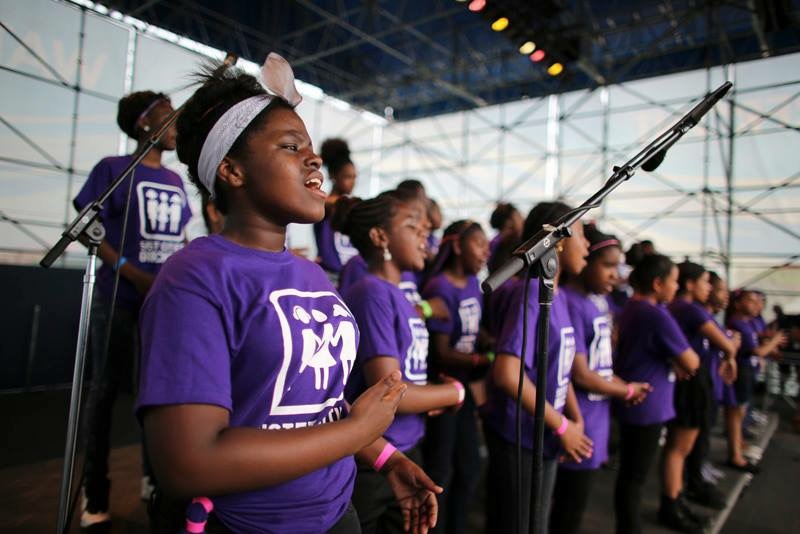 We are so proud of our girls for rocking the River Stage at Penn’s Landing on Saturday, May 16th for our finale concert, Purple Girls Rock. SCG was joined by the fabulous Brooklyn-based singer Emily Danger. 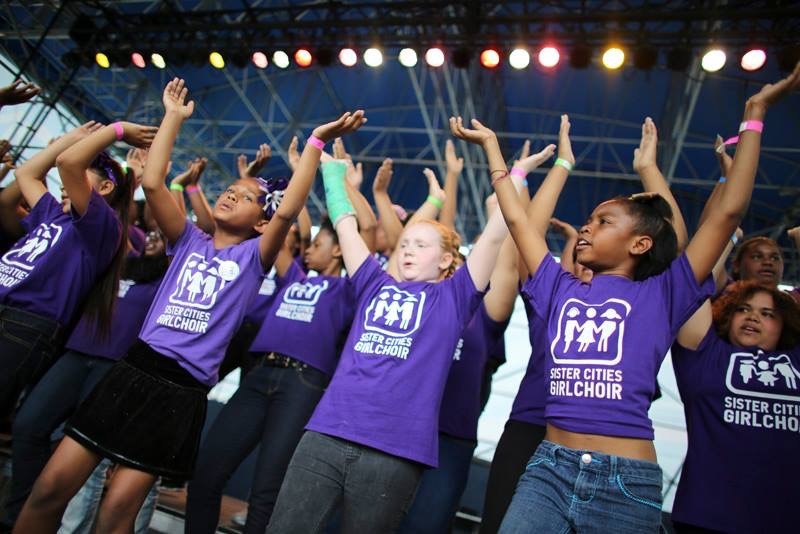 Thanks to Philadelphia’s Office of Arts, Culture, and the Creative Economy for awarding SCG an inaugural “Performances in Public Spaces Grant,” which enabled the girls to perform at Penn’s Landing. What a wonderful way to end the 2014-2015 program year! Sister Cities Girlchoir is was proud to present our Annual Awards at the concert. The 2015 Community Partner of the Year is First Presbyterian Church of Kensington and Partners for Sacred Spaces, key partners in our budding Saturday program. The 2015 Volunteer of the Year is Flaster/Greenberg PC, who donated numerous pro bono hours towards acquiring nonprofit status for Sister Cities Girlchoir. The FG partnership is through the Philadelphia Volunteer Lawyers for the Arts. The 2015 Raise Your Voice Award goes to acclaimed photographer Joseph Kaczmarek. Kaczmarek has been the official photographer for Sister Cities Girlchoir every season. 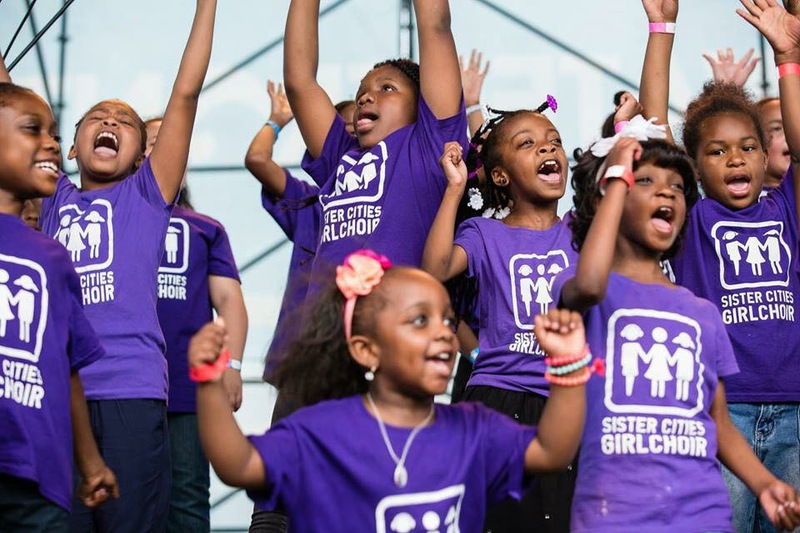 His gorgeous and powerful images have been instrumental in spreading the message and vision of the Girlchoir in the region and throughout the world. Previous SCG at the Phillies! Next Summer Camp 2016 is coming!